Pull on and take off! These Kids Elmo Cycling Pants V provide budding trail blazers the freedom to move. 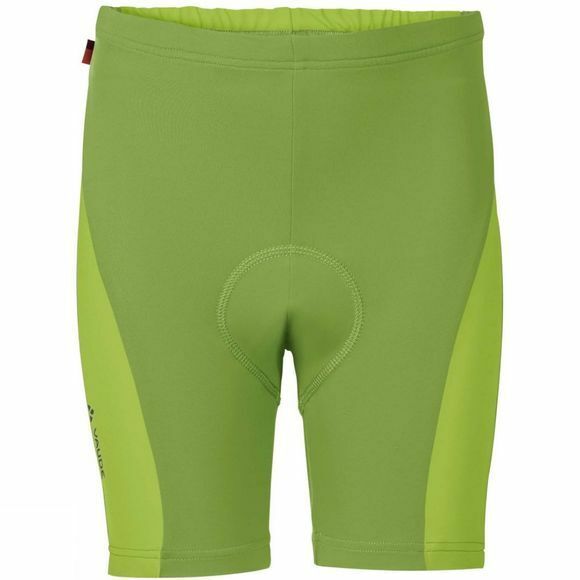 With a close-cut fit and a high quality chamois–full riding ease and best wearing comfort are guaranteed. Green Shape is your Vaude guarantee for eco-friendly products – made from sustainable materials and resource-conserving production.